From the acclaimed producer of John Woos Red Cliff and Jet Lis Warlords, comes this powerhouse biopic of the legendary Chinese philosopher, Confucius. In 500 B.C., during China's Spring and Autumn Period, Kong Ze (Confucius), a commoner reverred for his outstanding wisdom, is made Minister of Law in the ancient Kingdom of Lu. Under his inspired leadership, Lu ascends to new heights but becomes a target of conquest for the warlike nation of Qi. Threatened with annihilation by their powerful neighbour, a desperate people turn to their greatest teacher to lead their most powerful army. 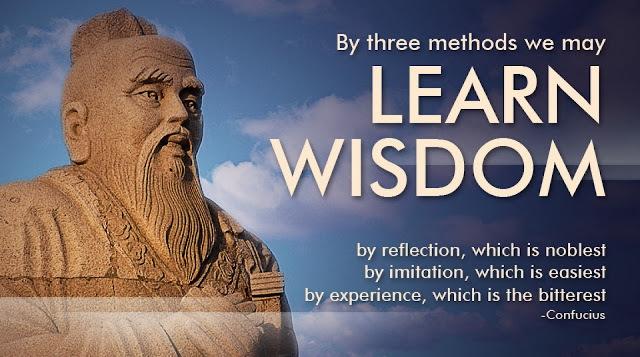 When Confucius delivers a stunning victory against all odds, a jealous aristocracy sets out to destroy him, but they under-estimated a remarkable man whose wisdom is more powerful than the sword. With breathtaking cinematography from Oscar-winning director of photography, Peter Pau (Crouching Tiger, Hidden Dragon), Confucius is a compelling invitation to discover the remarkable story of one of history's greatest heroes. 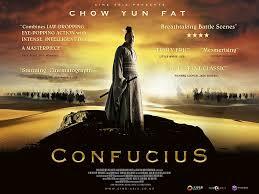 An impressive big budget movie that will teach you a lot about Confucius and China in the VI-V centuries B.C. Huge sets have been build to replicate imperial palaces and other scenery. Acting is excellent, with Chow Yun-fat at his best. The script is a bit confusing however, maybe it needs to be watched a few times. Too many intrigues and intertwined stories make it hard to follow. You can watch the theatrical trailer here. You can see a selection of movies on China I have reviewed on this blog here.